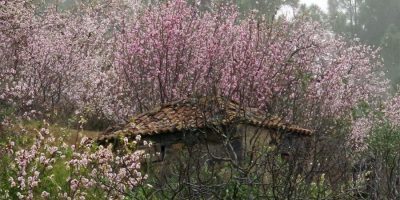 The almond blossom is really early this year, due to the weird weather. Yesterday I had work at the observatory, and afterwards I went down the Garafia side to take photos. It was glorious. I enjoyed taking the photos and I’m glad to have them, but my cold is much worse today. I think I overdid it.